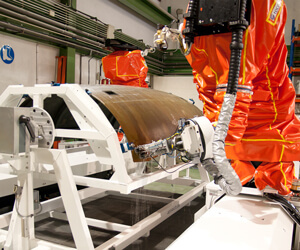 TAURUS is an automated system for ultrasonic inspection of aerospace components using water jet and air-coupled through-transmission (TTU) and/or pulse-echo (PE) techniques. The system includes one or two industrial robots mounted on linear tracks to provide maximum flexibility and performance for the inspection of very large and complex components. 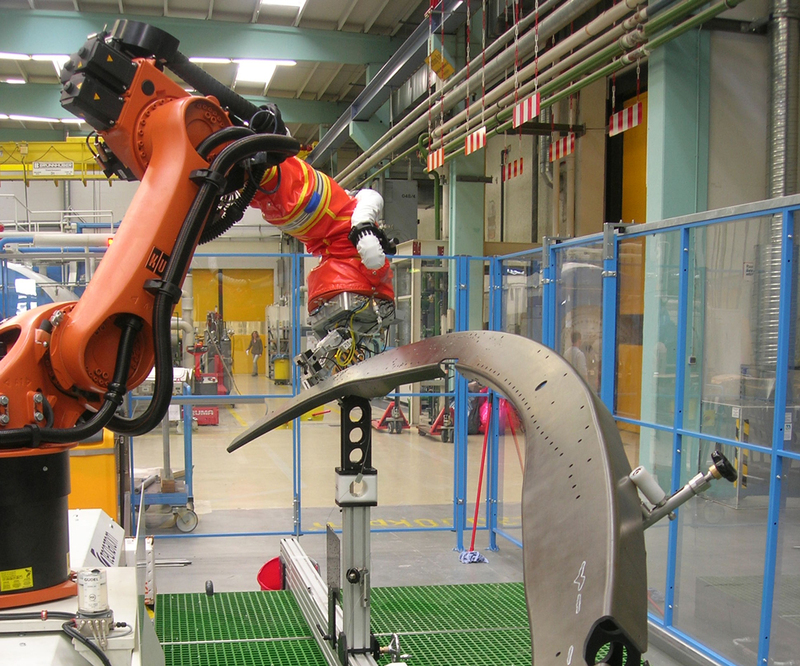 The robots can be fitted with standard and custom end effectors and yokes to adapt to complex geometries such as double curvatures, edges, cut-outs, radii, T or Ω stringers. Automatic tool changers permit adding other devices such as defect marking or laser scanning for teaching trajectories. 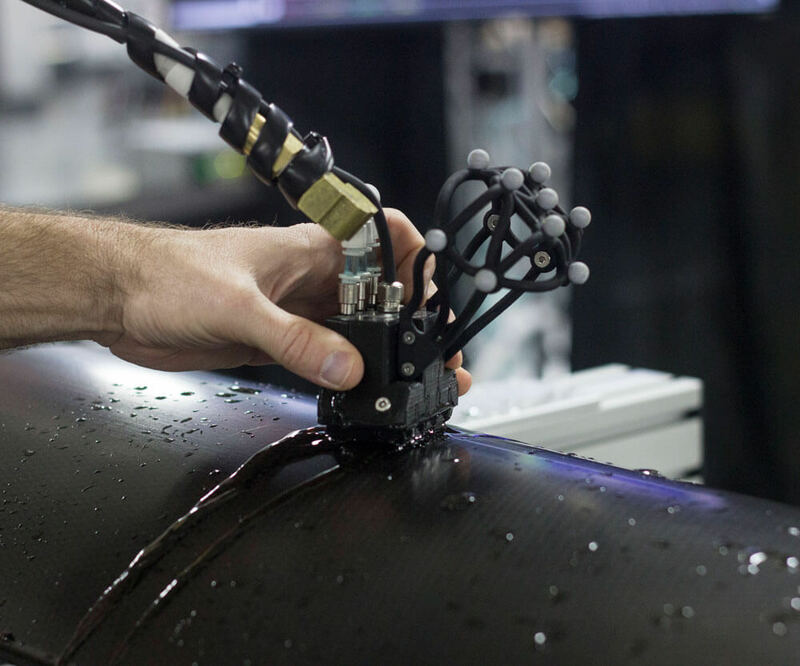 Water jet and air-coupled ultrasonic techniques. Pulse/Echo (PE) and Thru-Transmission (TTU) with mono-element and phased array probes. Single robot and Twin robot configurations (twin robots with tracks facing each other). 7-8 axis robot mounted on a linear track permit inspections of very large components and complex geometries (double curvatures, edges, cut-outs, radii, T and Ω stringers). Real-time C-scans provide immediate feedback of coverage and quality of inspection. SONIA® instrumentation with INSPECTVIEW® Software. Most popular robotic inspection system in the market with tens of installations worldwide, and qualified by major aerospace manufacturers. Built by Innerspec in the US under license from Tecnatom. Download our TAURUS Brochure here. 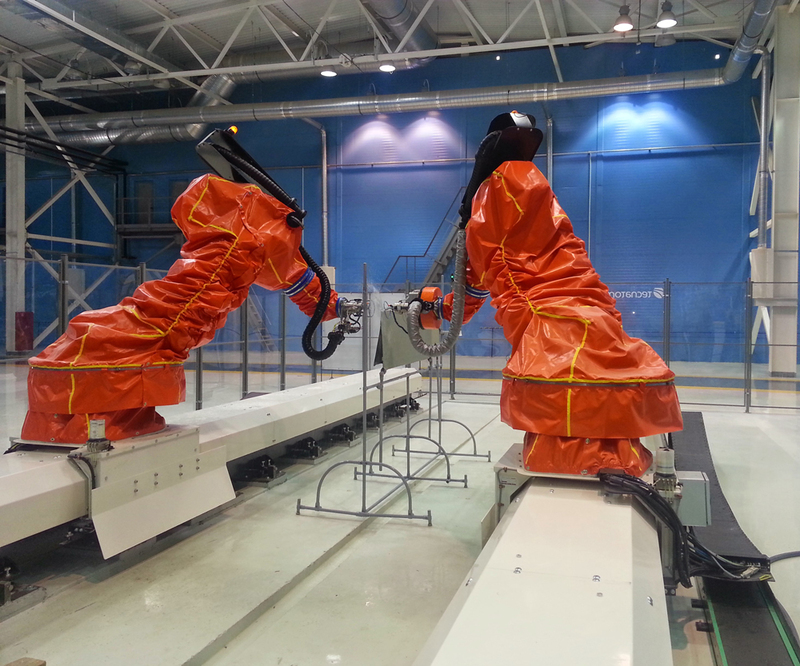 CAMUS 3D is an innovative solution that provides a cost-effective alternative to multi-axis inspection robots and gantries. 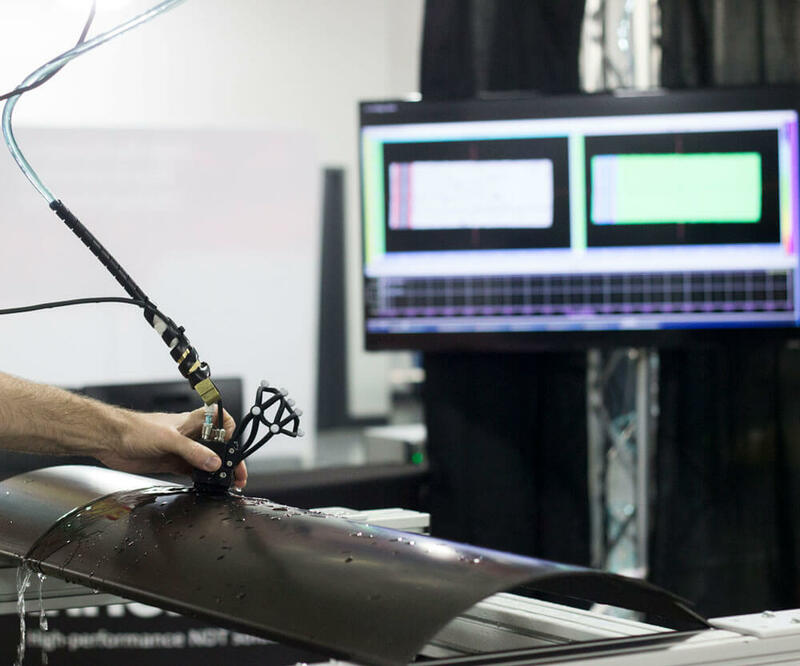 The system integrates an array of 3D cameras that track the position of the probe with a high-performance PAUT instrument to provide accurate, high-resolution C-scans on parts with complex shapes. CAMUS 3D is a flexible, accurate, and affordable solution for inspection of composites and metallic components. 3D cameras eliminate encoders, wiring, and electrical noise. Permits semi-automated inspections (hand scanning, wireless encoding), and eliminates encoders on system retrofits. Phased Array UT (32 to 128 channels) sensor with custom shoes to adapt to any geometry. 3D Cameras track probe movement and provide encoding and full traceability of the inspection results. Permits direct detection of defects as small as 1/8” in diameter (3mm) in laminated composites. Detects scattered porosity through back-wall attenuation, and provides a full thickness map of the part. Inspection cell up to 1000 sq./ft. (100 m2) of coverage. Larger cells available upon request. Optional multi-part simultaneous scanning in one inspection cell. Upgradeable to fully-automated robotic inspection. Permits adding PAUT to an existing line without the complex integration. Qualified by major aerospace manufacturers. Download our Camus 3d Brochure here. Watch our CAMUS3D promotional video here.